On Monday we left Coachella campgrounds. 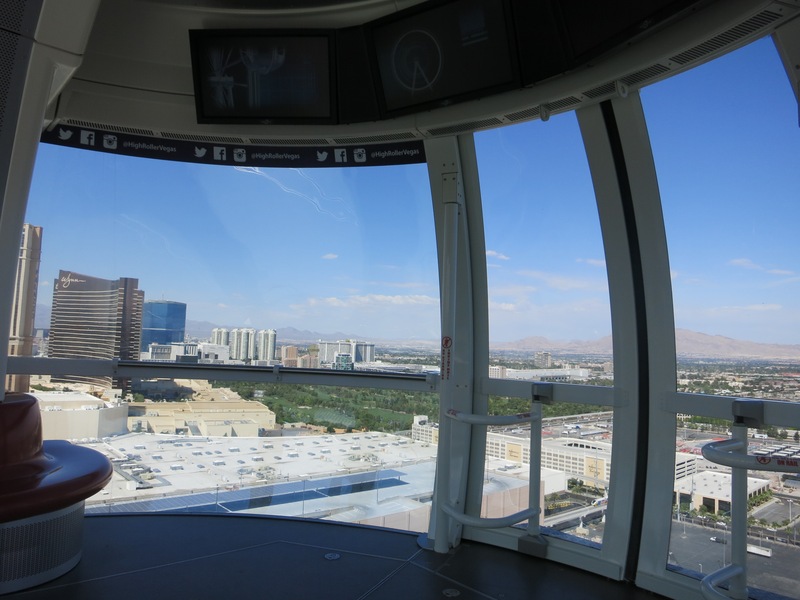 Our next stop was Las Vegas, approximately 4 hours drive from Indio. On our way to Vegas, we managed to stop by at Desert Hills Premium Outlets for a quick window shopping. Hehehe :p Although I did not buy anything on my visit, but I have to admit it the price was so much of a bargain! If you’re into shopping, I’d say not to miss this outlet when you’re in Los Angeles area. After we checked in and had some rest, we went out again to Las Vegas Strip for dinner. 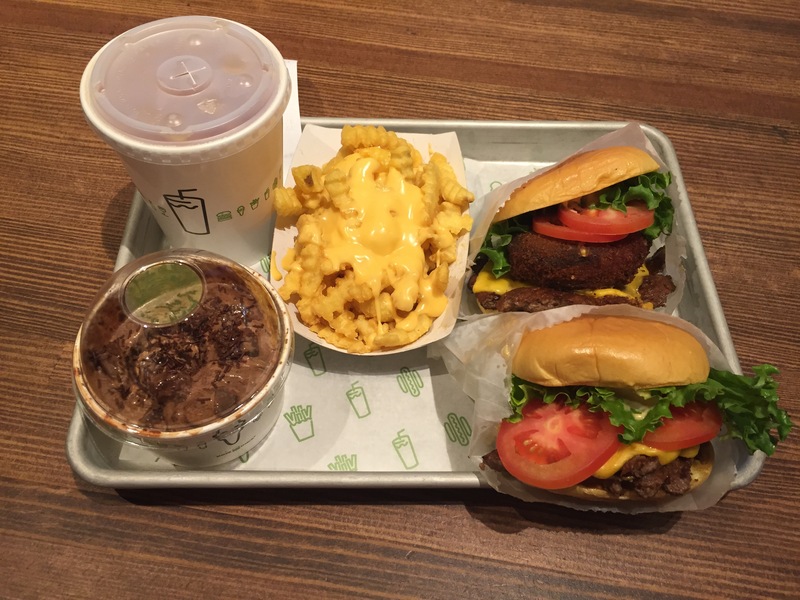 Our choice that night was Shake Shack – a famous burger joint originated from New York. This Vegas branch is their first in the West Coast and since both me and R never been to New York.. we were excited. Lucky it met our expectation – their burgers were delicious, and it’s not because we were very hungry. Hahaha. 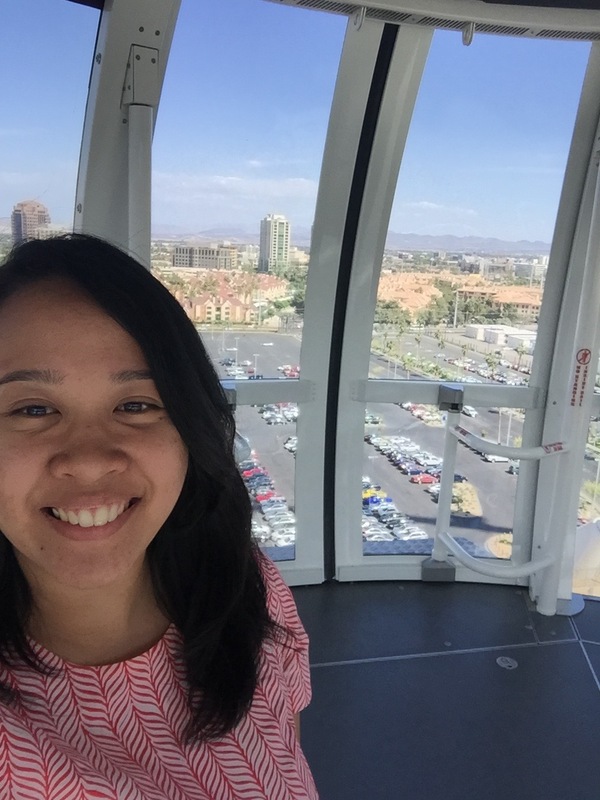 We spent Tuesday walking around Las Vegas Strip. It’s the road which is full of hotels/casinos/restaurants – where all the life of Vegas are. Our first stop was Bacchanal Buffet for brunch. It’s actually our second time – our first visit was back in 2013 for dinner. I’d have to say they still has their charm! Everything I ate was soooo good and the food selection was extensive! They have almost everything from Asian – Mexican – Italian – American, even fresh seafood and scrumptious dessert. 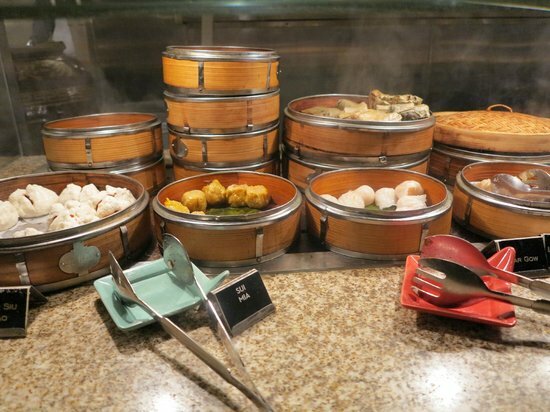 If you’re a foodie, make sure you don’t miss this buffet when visiting Vegas. Oh well, since I was too busy eating I did not take any pictures, but here’s one I found on google search. 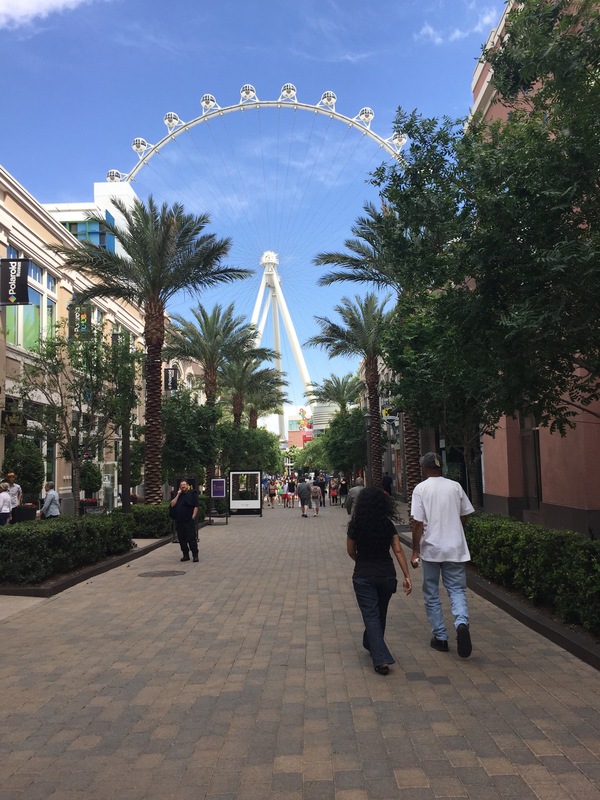 After brunch – we went to The LinQ promenade – Vegas’ latest entertainment center. 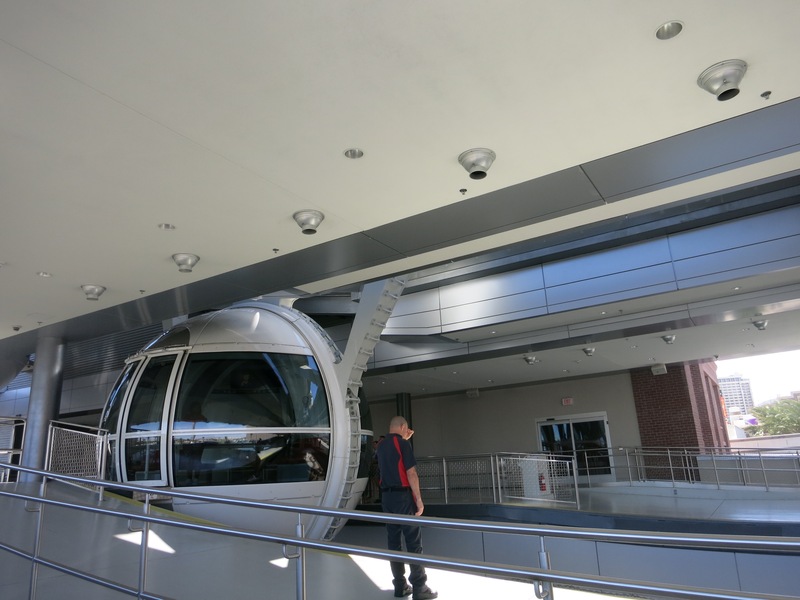 We had the pod to ourselves! 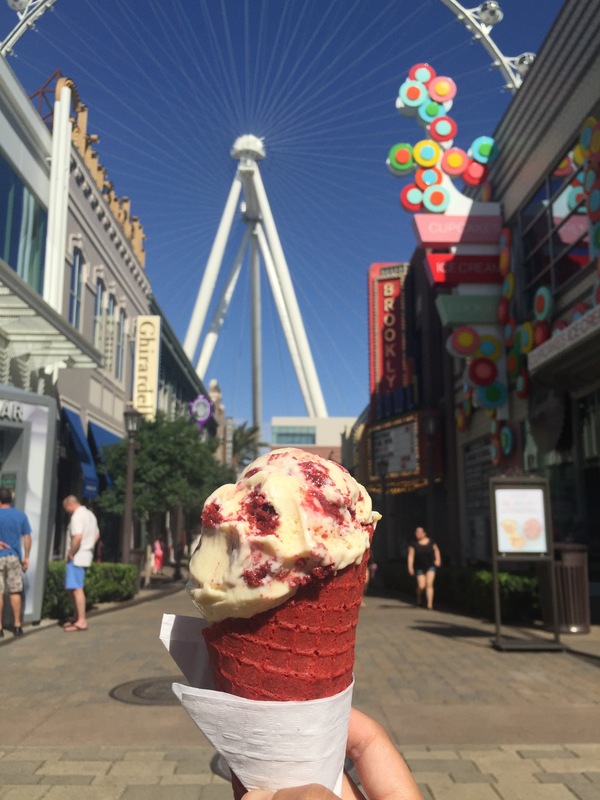 Afterwards, we spent the rest of the day strolling around The LinQ and The Strip – I managed to try Sprinkles’ Ice Cream (originally from Los Angeles but they finally opened a branch in Vegas!) in Red Velvet flavour… so good! We headed back to LA on Wednesday morning. On our way, we stopped by Ontario Mills mall. This is a very big mall with lots of factory stores.. which means bargain! Weeheeee! 😀 I have to admit that R is indeed a patient man for not complaining while I was busy deciding which GAP cardigan I should buy (it was $8 in every colors that you could imagine… R thought they all look the same :p). Afterwards, we met with his friends for dinner. It was fun to finally be able to meet some of his friends for the first time! 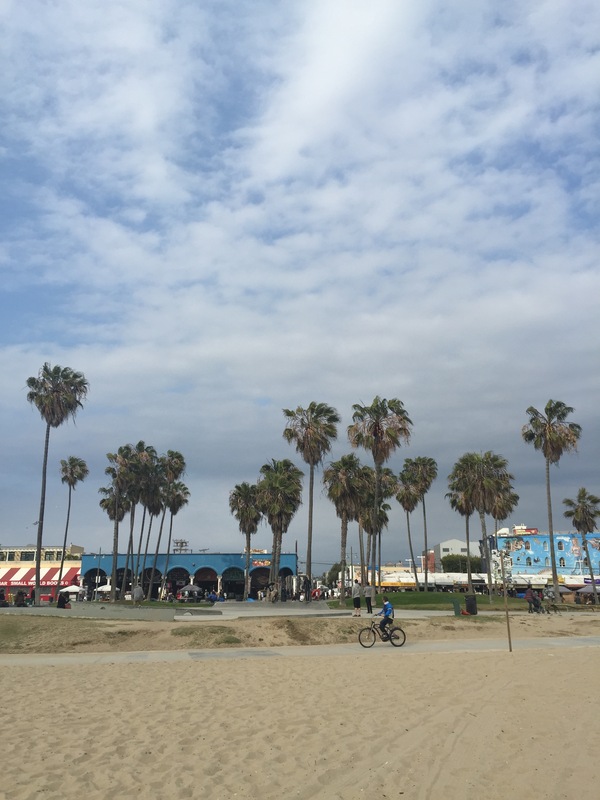 We spent the morning resting, and then managed to go to Venice Beach in the afternoon. Too bad it was windy and rather gloomy, so I did not have the chance to enjoy typical California beach weather. 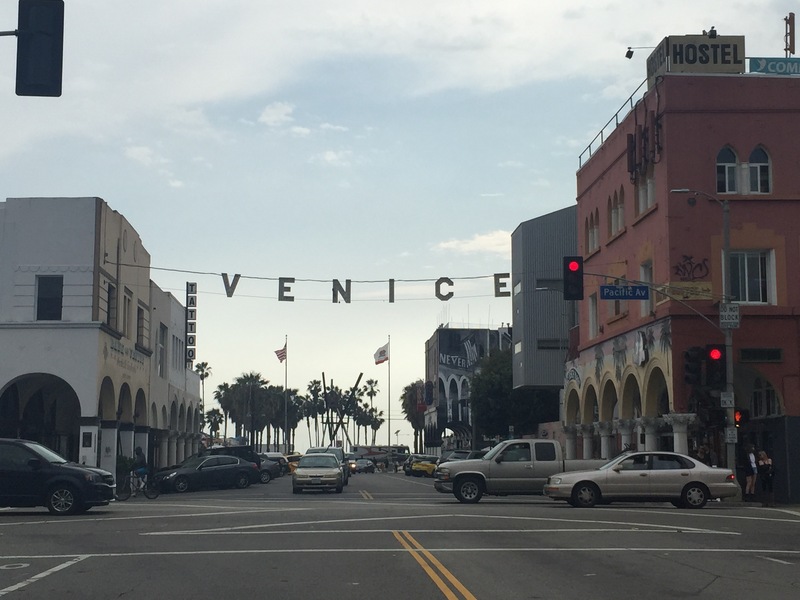 Unlike Santa Monica – its neighboring beach, I think Venice Beach is more laid – back, more artsy while Santa Monica is more touristic and upbeat. That’s just my thought though. Have you been? what do you think? 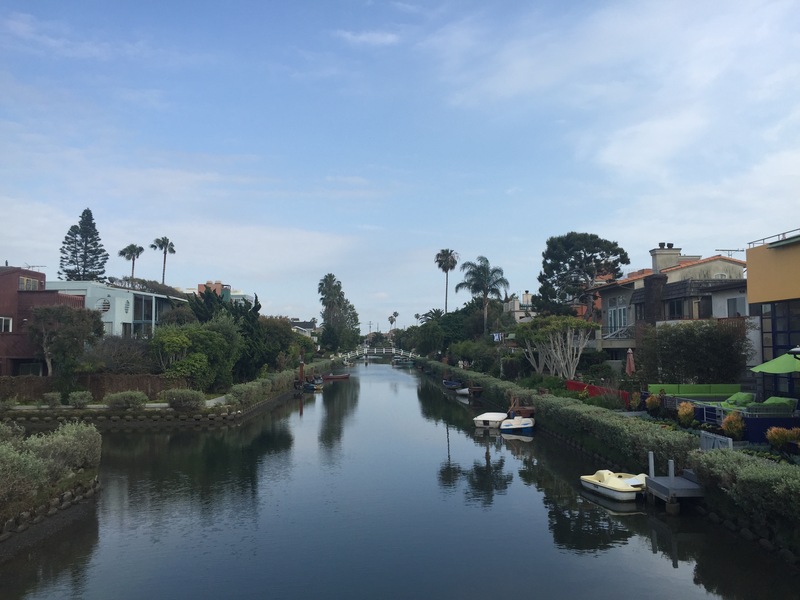 Although the beach was nice, but what I love about the neighborhood is this Canals! Perhaps you have seen it in the movie Valentine’s Day (2010)? 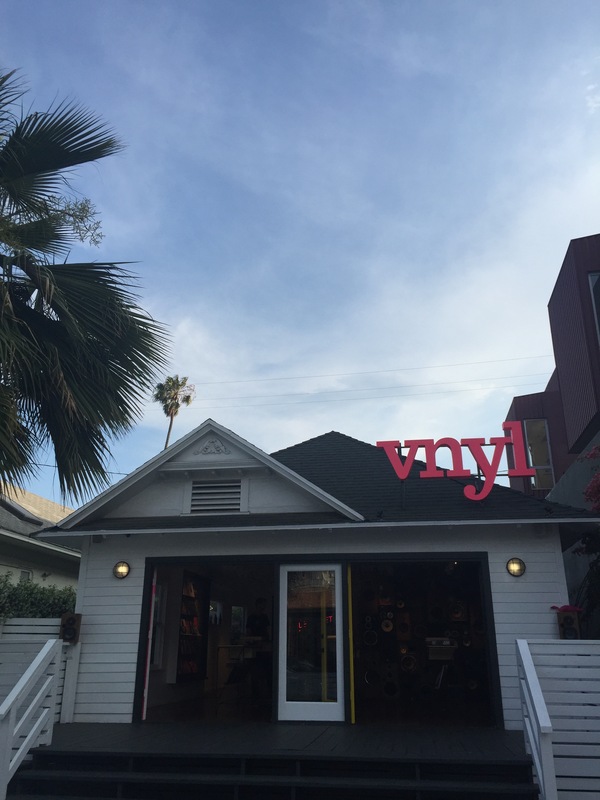 Afterwards, we went to Abbott Kinney – a nearby neighborhood. 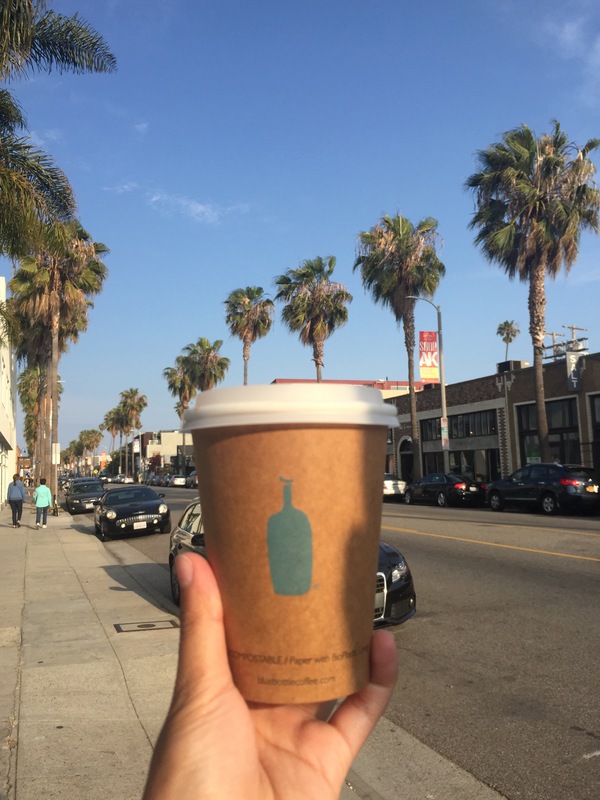 We went there because I wanted to get coffee and thanks to Instagram I found out that there’s a Blue Bottle Coffee branch in Abbott Kinney. 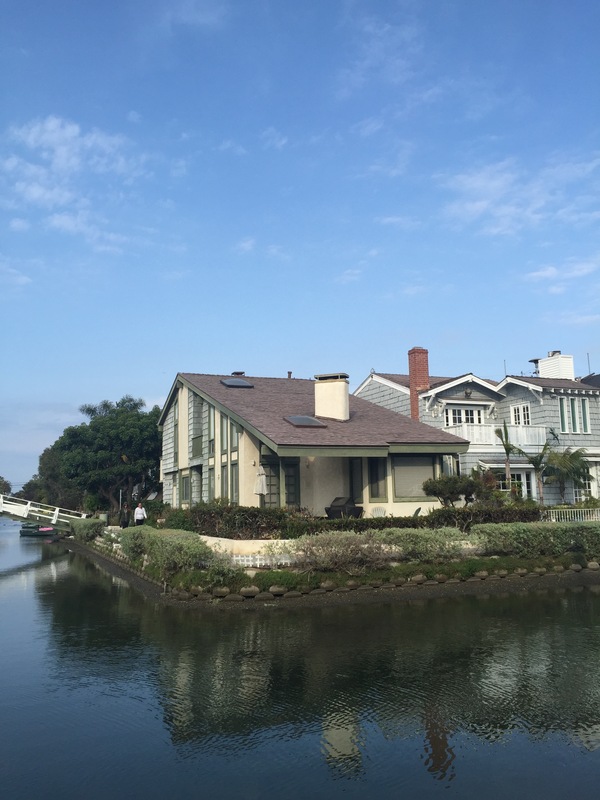 It’s only around 10 minutes away from Venice so we went. Lucky me, the coffee was indeed tasty! After coffee, we spent some time strolling the street and I fell in love with the area too. Like I said before, everything was pretty! The street is full of coffee shops/restaurants/small boutiques/shops which from what I saw looked expensive (later I found out that some of the restaurants there are the celebrities’ to-go-to! ), but looked so pretty. The people I saw on the street all looked nice, well-dressed and laid back. No, I did not meet any celebrities (well maybe I did but perhaps I did not realise it? :p), but I have to admit everyone I saw looked nice, hehehehe. 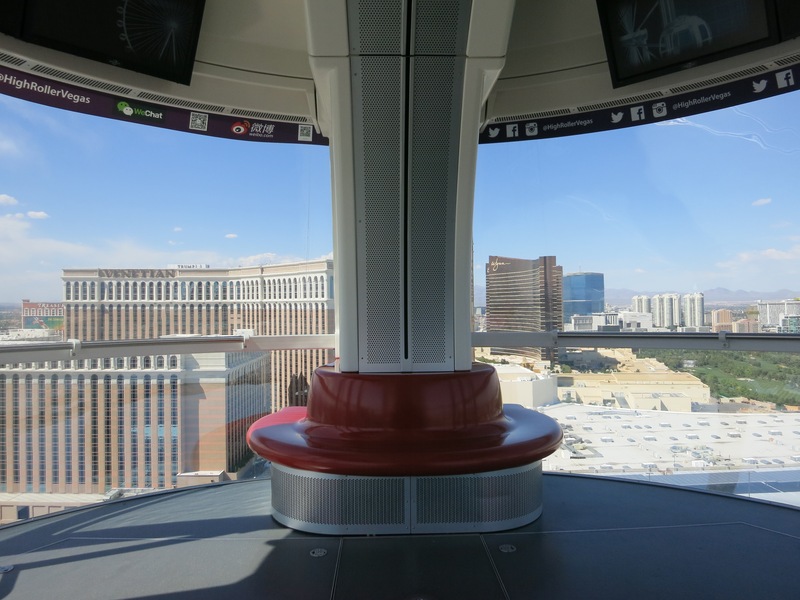 Las Vegas seru ya kayaknya! akhirnya gak jadi nyobain BurGR nya gordon ramsay ya? aaa.. pengen cobain shake shackk! ga kesampean dulu. =((..
Argh, the Shake Shack’s burger is so tempting! Kentang gorengnya itu juga kayaknya gede-gede dan endes banget Mbak, wah mesti kenyanglah ya kalau jalan ke sana, makanannya punya tingkat kelezatan (dan porsi) yang premium :haha. Bianglalanya gede… tapi muatnya juga banyak orang, jadi itu lucky banget kalau kebetulan bisa berdua saja di sana :uhuy. Malam ditutup dengan jalan-jalan di jembatan yang pastinya juga romantis banget… :hehe. Keren! I wish I could go there someday :amen.